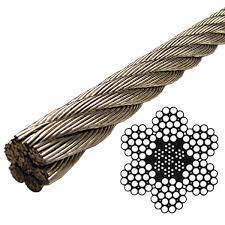 We have gained a remarkable position in the industry by offering a qualitative assortment of Wire Rope. The offered rope is manufactured employing high-end technology and well-tested raw materials in adherence to industry defined guidelines. Apart from this, the offered product is rigorously tested under the strict inspection of our quality controllers. 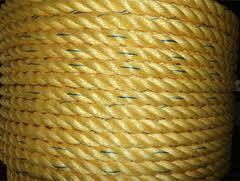 This rope can be availed from us in various specifications at market leading prices. 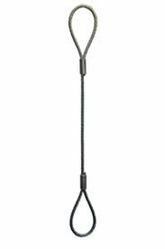 Besides being tear proof in nature, this Polyester Round Sling is also light in terms of weight. This Garware Rope has a superior strength and is made of quality raw material. 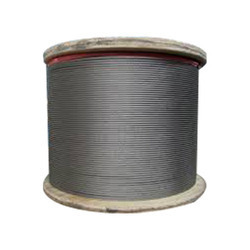 This SS Wire Rope has a high tensile strength and is tear proof in nature. This green-coloured Webbing Sling is made of polyester and is tear proof in nature. 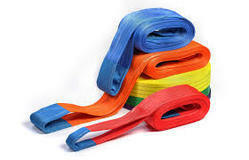 Looking for Ropes & Sling ?